This is an ongoing monthly post I have incorporated in to the blog which highlights some of my favorite things for the month past. Today I have my most favorite things from November. Check it out below. This has been passed on to December as well. All I want to wear is glitter! In November I wore mostly Glitter polishes, for a recap of my November polishes, click here. 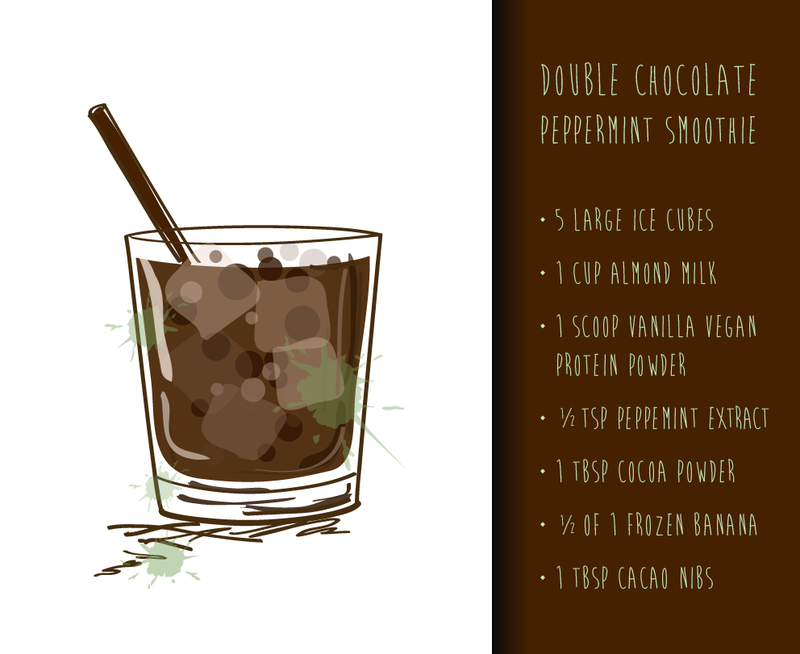 I have been feeling the Christmas spirit early this year and have created a fantastic vegan recipe for the perfect double chocolate peppermint smoothie. Not only is it completely all natural and raw, but it is healthy and tastes delicious! The double chocolate is made up of high quality cocoa powder and raw cacao nibs. Let me know what you think of it if you try it out! I have recently purchased multiple variations of Dr. Bronner's castile soaps. These are all natural soaps scented with essential oils. The great thing about these is that you can use them to clean everything! Your house, your body, your teeth, e-v-e-r-y-t-h-i-n-g! This is a great natural product and I love to use it as a body lotion and face wash. The rose scent is so fresh and not overpowering. A little of this product goes a long way, their blog provides exact measurements for dilutions to use as you like. Please try it! It's my very own recipe and is sooooo good! You can sub in whatever milk and protein powder you prefer, or leave out protein all together if you'd like and add some more banana's for sweetness. If you try it let me know how it came out!